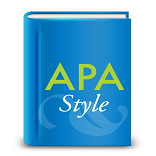 Does your academic paper require APA Style? If so, here are some basic rules that will facilitate your compliance. If you need more specifics, please reference the APA manual, 6th edition, second printing, which is the latest release as of this post. 1. Content should be in 12-point Times New Roman Font. 2. 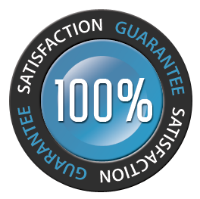 Content should be double spaced. 3. APA recommends two spaces after every period in order to aid in the readability of the text. 4. APA requires a Title Page and an Abstract. If your professor does not require these items, disregard. 1. APA requires a title page that includes the Writer’s First and Last Name, Name of Affiliate Institution, and Date. The title should be centered on the page, typed in 12-point Times New Roman Font. It should not be bolded, underlined, or italicized. 2. Title page should include the words “Running head: TITLE OF YOUR PAPER” in the upper left hand header of the title page. 3. The page number should be in upper right hand corner of the header starting with “1” on the title page. 4. Subsequent pages of the paper (including the Abstract and Reference List) should include “TITLE OF YOUR PAPER” in the left header (note removal of the words “Running head:”). Page numbers should continue sequentially. 1. The Abstract is a brief summary of the paper, allowing readers to quickly review the main points and purpose of the paper. 2. The Abstract should be between 150-250 words. Abbreviations and acronyms used in the paper should be defined in the abstract. 3. The word “Abstract” should be centered and typed in 12 point Times New Roman. Do not indent the first line of the Abstract paragraph. All other paragraphs in the paper should be indented. 1. In-text citations should follow the format of (Author’s Last Name, Year of Publication, p. #). 1. Start the reference list on a new page, center the title “References,” and alphabetize the entries. Do not underline or italicize the title. Double-space all entries. Every source mentioned in the paper should have an entry. 2. All lines after the first line of each entry in your reference list should be indented one-half inch from the left margin. This is called hanging indentation.